DAVID LE/Staff photo. 3/27/15. 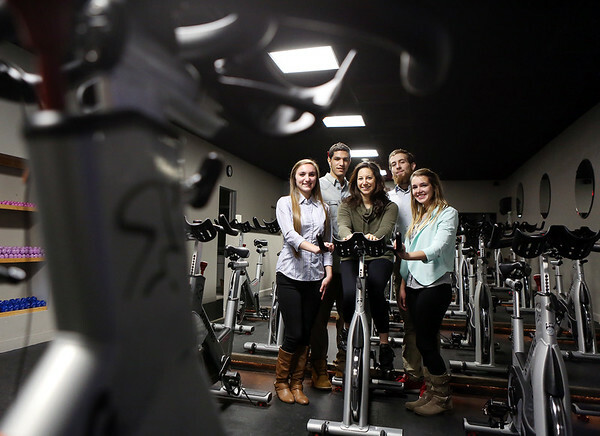 Salem State University seniors Brooke Drost, Mike Beaudoin, Kyle Loffredo, and Samantha Conway, are helping co-owner Emily Skoniecki, of Inner Cycle, market her spin gym.